Figure 2 shows the pitaya peel drying kinetic curves fitted to the Page model. Muhammad, Stability of betanin in pitaya powder and confection as affected by resistant maltodextrin, doi: https://doi. 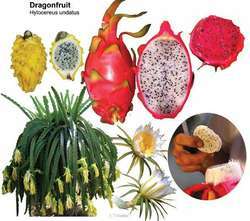 Red pitaya (Hylocereus polyrhizus) is a very popular kind of tropical and subtropical fruits belonging to Cactaceae family, and it is also named dragon fruit, red dragon fruit or red-fleshed pitaya (Yu and Wang, 2009; Chen et al. Y finalmente esta la referida con el cultivo de la pitaya, planta silvestre que es nutritiva, medicinal, muy resistente a los periodos de sequia y de gran precio en el mercado. Pitaya, which means scale fruit, is the name for both the cactus plant and its fruit which are grouped into four genera: Stenocereus Briton and Rose, Cereus Mill. The commissioned art installations by the likes of Pitaya (Lyon), Famed (Leipzig/Berlin) and Moritz Wehrmann from Paris (www. Para llegar al primero hay que cruzar Los Naranjos, Santiago de los Caballeros, Guanajuato, El Saucito y La Pitaya. Red Pitaya is a test and measurement system in a compact and low-cost ecosystem approach. Pitaya Tanadamrongsak, managing director of Dongfeng Motors (Thailand), a unit ofChina'sDongfeng Motor Corpthat announced an expansion in Thai vehicle production on Tuesday, told Reuters the business community needed more than the lifting of an emergency decree. Fresh pitaya stays fresh for a short period of time when stored at room temperature. Entre las cactaceas mas comunes destacan las columnares, como el cardon pelon (Pachycereus pringlei) y la pitaya dulce (Stenocereus thurberi) (Leon de la Luz et al. En este contexto, llama la atencion la cantidad de actores que pertenecen a este grupo: los ejidos Alfredo Bonfil y Benito Juarez; las cooperativas pesqueras Aguilas Pescadores y Bahia Vizcaino; las empresas y cooperativas ecoturisticas Ecoservicios Sendavil, Ecoturismo Kuyima, Ecoservicios La Pitaya, LARIC y MUBA; las empresas ecoturisticas Los Caracoles, Deportes Ecoturisticos La Laguna, Antonio's Ecotours, Pancito's Ecotours, Laguna Tours y Mario's Tours.